The Scoop: Surge is a fast-growing dating app for gay men interested in finding new friends, dates, and partners. The app fosters a network of over 3.5 million men worldwide, and it sees over 3,000 signups every day via Google Play and the App Store. 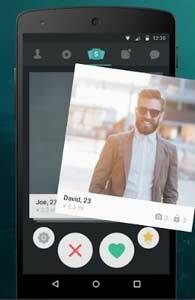 Since 2015, the dating app has paid close attention to the needs of single gay men and offered simple swiping features to make their dating experience a little easier. The Surge team has recently doubled down on its quality-driven approach to dating by designing a unique feature that will allow members to post about the charitable causes and nonprofit organizations they support. By highlighting activism on its app, Surge will encourage its diverse members to start values-driven conversations about issues close to their hearts. It’s easy for singles to get run-down on dating apps. It’s just another profile. It’s just another match. It’s just another lost connection. The never-ending cycle of liking and chatting can lead online daters to burn out and conclude that online dating is just another waste of time. Modern dating apps have to find ways to combat online dating burnout and keep singles engaged with the platform until they find the right person. Surge supports an active gay dating network of over 3.5 million men. 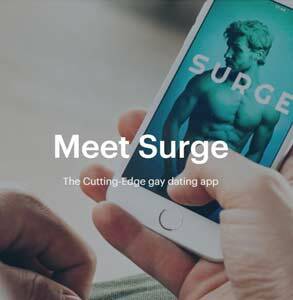 Surge, a popular gay dating app, has pioneered techniques to keep its members interested. Its most recent innovation offers a nod to the activist streak in the gay singles community. The new feature will allow members to highlight their charitable works and volunteerism on their dating profiles. Other Surge members can then choose to donate to these featured causes in a few clicks. With this unique feature, Surge has thrown its support behind users who spend their time doing good works, and it has given gay men a way to connect through shared interests and values. Since its launch in 2015, the dating app has made an effort to keep up with trends in online dating and push the boundaries of what a dating app is capable of. This foray into charitable works shows Surge’s willingness to try something new as well as its commitment to bring added value to the dating scene. Over 3.5 million men have joined Surge in the last three years, and its membership continues to grow each and every day. Eva told us the dating app sees over 3,000 signups per day, which makes it among the fastest growing dating apps in the industry. The membership base is fairly active too. Overall, the app sees over 10 million messages sent each month. Surge has cultivated and maintained an international community, and the team has its sights set on further expansion in the years to come. Surge won’t be satisfied until it has become the number one dating option for singles around the world. As part of its mission to take over the dating world, the Surge team launched an original charity-driven feature that will help daters raise awareness and raise money while raising the caliber of their date prospects. Surge members will soon have a chance to share which nonprofit organizations they support and post how many hours a week they volunteer with those groups. And that can make a world of difference. A man who’s heavily involved in the global fight for marriage equality, for instance, can give a shout-out to the Human Rights Campaign or the Kaleidoscope Trust in his profile. This information can help users see each other in a different light and bond through a common cause. While Surge has an overall positive rating of 4.5 stars on Google Play and iTunes, the team still sees room for improvement and expansion. Some users have criticized the app for having fake or unresponsive profiles, and the support team has listened to these concerns and taken steps to promote authenticity on the app. Surge pairs typical swiping features with an innovative profile setup. The charity-driven features are just part of Surge’s push toward adding value to its profiles. The app has also chosen the motto #NoLabels to underscore its commitment to going beyond stereotypes and reflecting its members’ complexity, character, and quirkiness. The charity-driven features are perfectly aligned with this message. When Surge beta-tested this feature, it received incredibly positive and encouraging feedback from users who felt gratified to have an outlet for their volunteerism and activist efforts. Surge members can use the app to communicate not just their age, height, and education, but their deepest passions and strongest convictions. That naturally leads to interesting conversation topics between quality individuals — and that’s what Surge is all about. Surge is supported by a lean team of 15 hard-working individuals. The company has all the flexibility of a tech startup with all the discipline of an international dating company. The diverse team enjoys flexible work schedules that allow them to tend to their personal matters without sacrificing productivity at work. They have the option of working from home, which suits young parents as well as retirees. The Surge team fosters an international gay network from its offices in Prague. The development team works closely alongside the produce and support teams, and some key team members even take on dual roles in the company. The Surge team makes an effort to be responsive and accessible to users through multiple channels. Team members engage in conversations with users through email, Facebook, Twitter, and Instagram. Surge’s largest team is the customer support team, which is there to ensure members have a satisfying and fruitful experience on the app. As a company, Surge depends on the friendliness and problem-solving skills of its employees to support gay singles around the world. Many dating apps offer a superficial look at who someone is. You have one picture, a headline, and some basic stats on which to judge compatibility. Good luck. Surge is intent on offering its users a little bit more substance than that. This cutting-edge app has taken a quality-first approach to dating, and singles have responded by signing up in droves. Surge has made inroads in the gay dating community by prioritizing the needs, concerns, and priorities of its members. The team has taken user feedback to heart and created a dating environment with a rainbow of high-quality features. In the coming year, the dating app’s team intends to grow its international network and nudge the gay dating scene in a charitable direction.